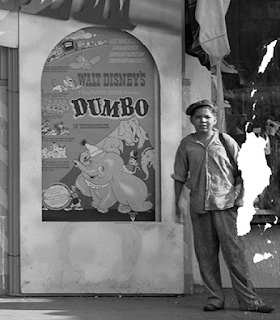 It's 1942 and "Dumbo" is showing at the Studio in downtown Phoenix. Let's go! I see that "Beyond the Blue Horizon" is also showing, but it's the cartoon that I want to see. 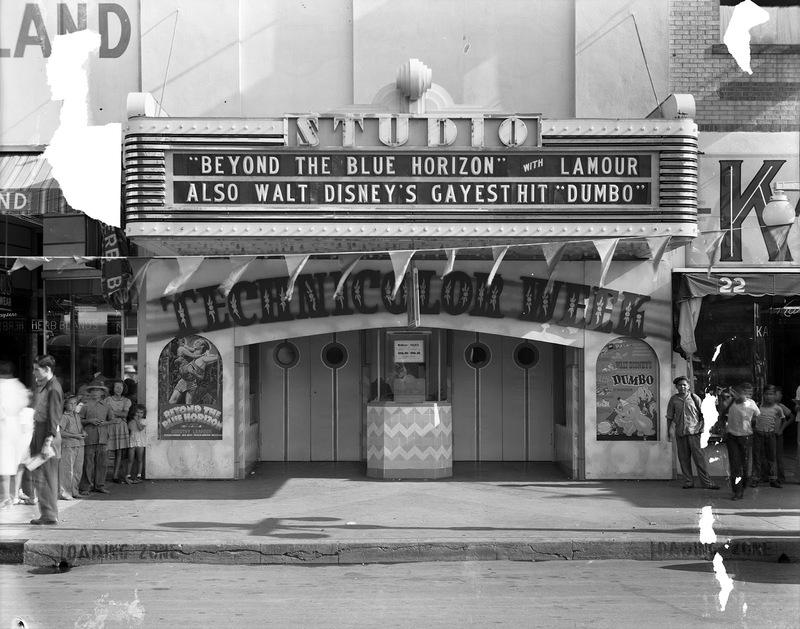 They say that it's Walt Disney's gayest hit! What? No, it just means cheerful and happy. This is 1942, there won't be another meaning for that word for many, many years. Lamour? Yes, that's Dorothy from the Hope and Crosby road pictures. This one? I don't know, looks like a bunch of mush to me. You can stay and watch it, I ain't a-going to! Yes, it's in color. It's called "Technicolor" and I hear it's amazing. Yes, of course, Disney cartoons have been in color for a long time. Where have you been? Steamboat Willie? That's Mickey Mouse stuff! OK, meet me there. It's on Washington just east of Central, north side of the street. Yes, I'll be there. You can recognize me by the new slouch hat I just got. Ma and pa don't like me wearing it! I'll be standing next to the Dumbo poster. See you there!